Never Enough Nails: Nail-Venturous Floam vs. Actual Floam! Today I have a polish that I have been lusting after since the very first time it's creator shared a swatch of it on her blog. 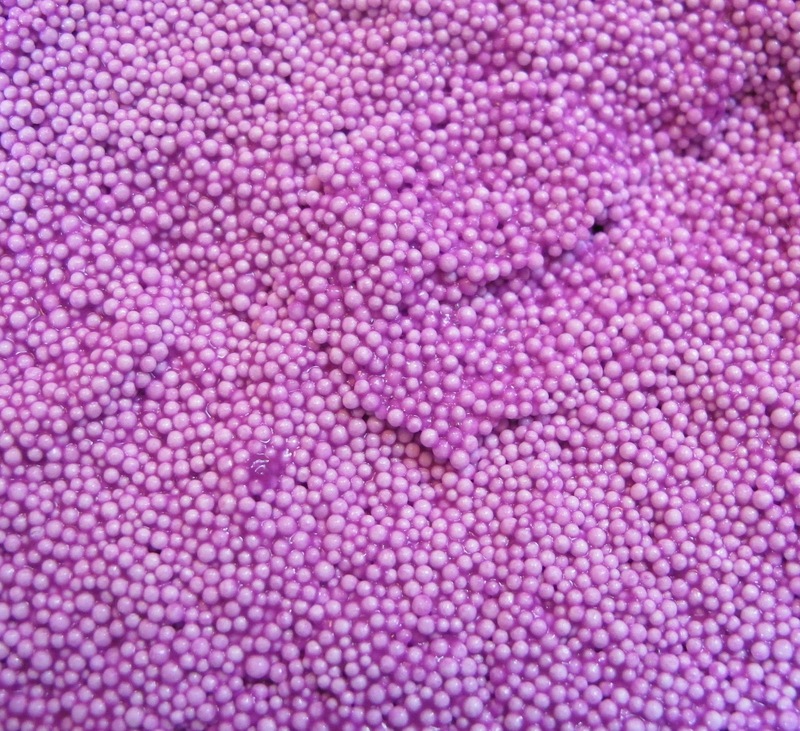 I'm talking about Nail-Venturous FLOAM!!!! I have been completely unable to get this polish, I just keep missing the shop opening! So,I finally swapped for this and Nail-Venturous Orange You Unique? on Make-up Alley. 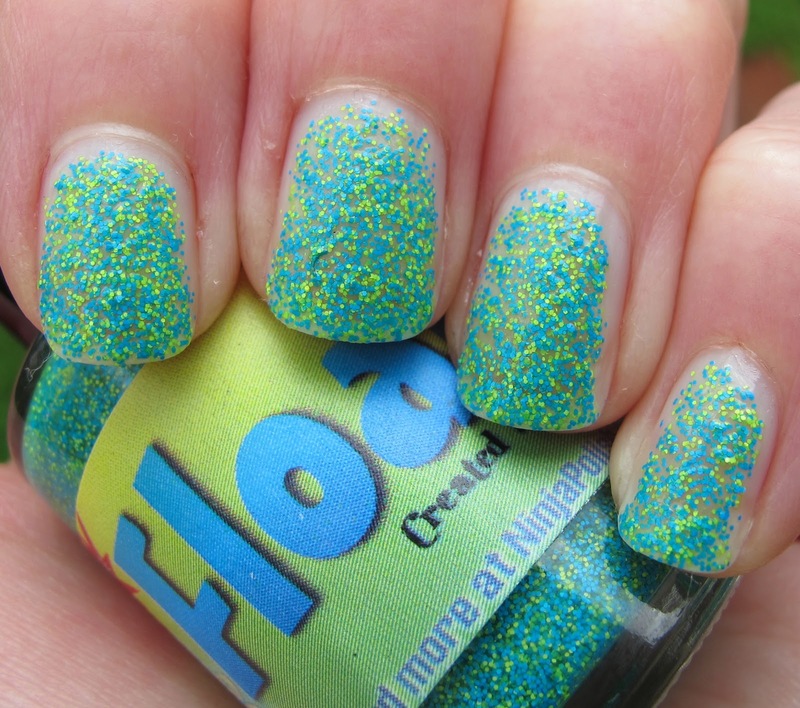 I loved Floam when I was little, so I just had to have this polish. Floam is an awesome mix of matte neon blue and yellow-green glitters. It is much brighter and more neon-y in real life. The weather is still overcast and bad for pictures here. 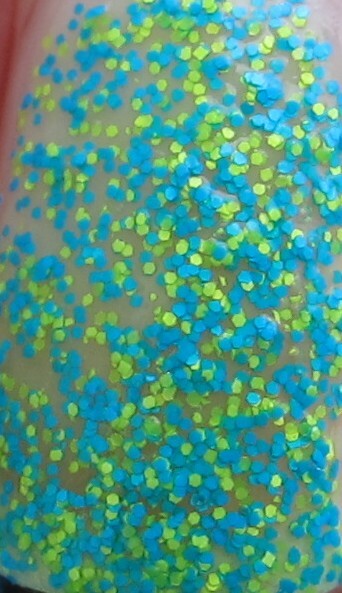 The glitters are really quite bright and electric looking in person. 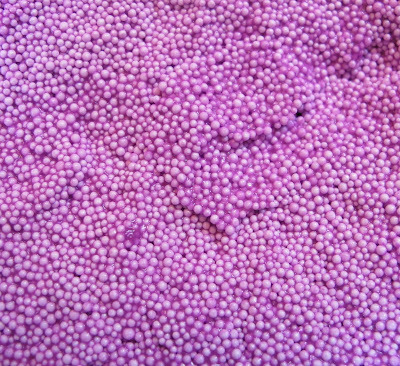 This is four coats of Floam alone. Next time I wear it, I am going to layer it over a green creme. This was so hard for me to obtain, I really want my bottle to last a long time. Floam kind of ate my top coat, but I used Zoya Armor. Armor is a great top coat, but not the best option for glitters. I ran out of all good glitter top coats and really need to buy some more! Floam!!!! They were out of the green (it's named "green glimmer" by the way, nice name!). But I think you can see in the comparison below that Amy did a fantastic job of mimicking the texture of Floam. I love Nail-Venturous Floam as much as I thought I would and I'm so happy to finally have it!! Floam is available at Amy's Etsy shop when it opens, although she has said that she is on a long vacation. Check out her Facebook page for announcements about when she will open her shop next. So jealous! I have Sunny foam, but I want the original foam! Me too Kelly! I can't wait to try Orange You Unique too! 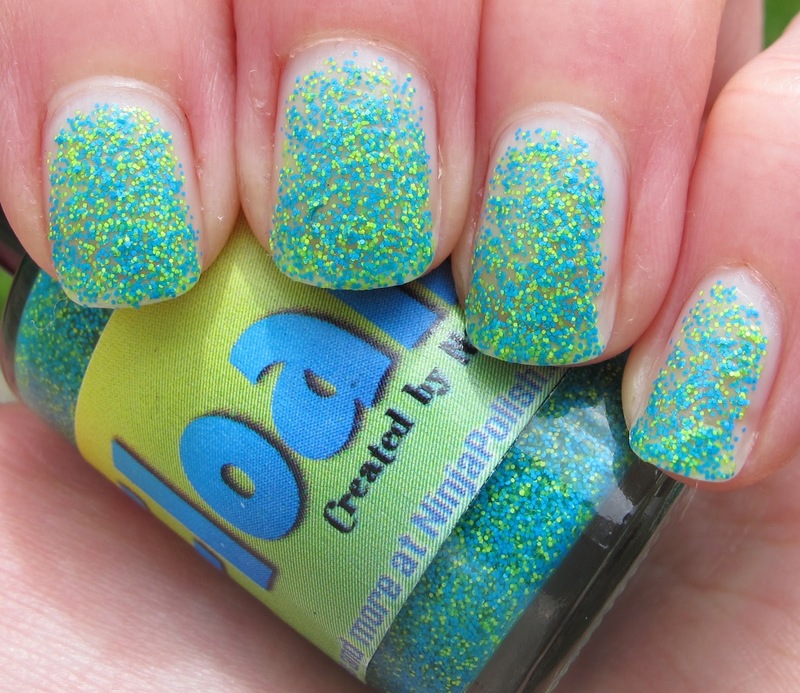 Peace, Love and Polish- I want Sunny Floam now too, that and Pinkerbell!